For American fans, Borussia Dortmund’s best young talent is without a doubt Christian Pulisic. 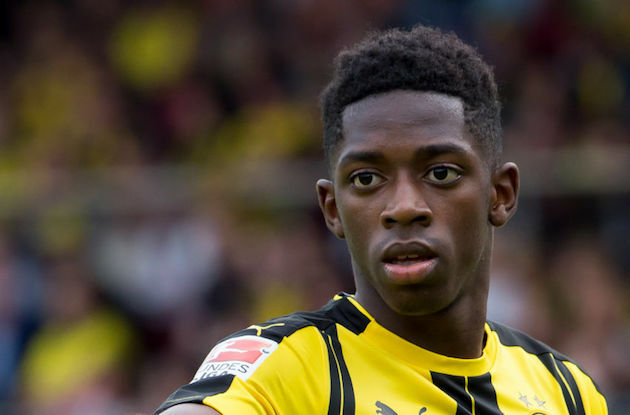 What they might not know is that there’s another teenager at the Signal Iduna Park that is ready to take the world by storm: Ousmane Dembélé. The 19-year-old Frenchman was one of the most sought after young talents this summer, and he’s already started showing why in the Bundesliga. 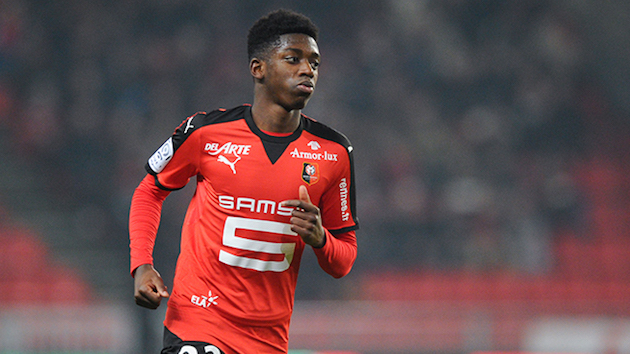 Before he was donning the famous black and yellow kit of BvB, Ousmane Dembélé was wearing black and red for Rennes. After his family moved over to France from Mauritania, the young player joined Rennes academy as a 13-year-old. In the youth ranks, Dembélé refined his talent, and it wasn’t long before he was training with the first team. During the 2014 season, the forward made the jump to Rennes reserve side. His one season with the reserves yielded rave reviews, and it wasn’t long before European clubs like Red Bull Salzburg and Manchester City were making their interest known. Another important person in the teenager’s decision to stay: his mother. Sambagué confirmed that despite Dembélé’s desire to leave Rennes, his mother convinced him to say and sign his first professional contract. I guess even if you’re a professional footballer, mom is always right. That decision would prove to be extremely beneficial not just for Dembélé, but for Rennes as well. During the 2015/16 campaign, the teenager established himself as a near constant starter for the Ligue 1 outfit making 29 appearances (23 of those in the starting 11). 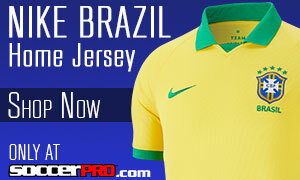 In the league, he led the club with 12 goals including a hat trick against Nantes in March. His breakout campaign helped Rennes finish eighth in the league, their highest finish since 2011/12 and just six points outside of European qualification. On an individual basis, Dembélé was named Ligue 1’s young player of the year. After his first season with Rennes’ senior side, it was just a matter of time before a bigger European club came in to swoop him up. 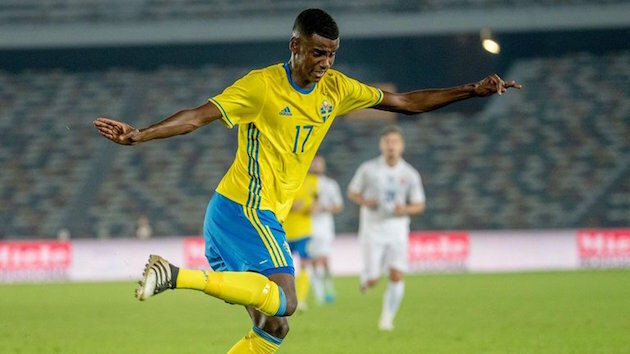 The 2016 summer transfer window saw the prolific teenager linked with nearly every major club on the continent, including Premier League champions Leicester City. Unlike some of the other summer transfer sagas *cough* Paul Pogba *cough* Dembélé wrapped up his exit quickly. On May 12, Borussia Dortmund confirmed that they had reached a reported €15 million agreement with Rennes to bring the teenager to Germany until 2021. At Dortmund, Dembélé has been blessed with a much more competitive supporting cast with the likes of Marco Reus, Mario Gotzé and Pierre-Emerick Aubameyang competing with him for playing time. In a preseason matchup against Manchester United, Dembélé embarrassed United’s defense with a highlight reel goal. Through the first four league matches of the season, the 19-year-old has started three times and even scored his first goal against Wolfsburg. He was also able to make his Champions League debut against Legia Warsaw on September 14. So far, Dembélé has been limited to just two senior appearances for the French National Team. He has represented Les Bleus on virtually every youth level, and after his breakout campaign with Rennes in 2015/16, he was able to make his senior debut as a substitute against Belarus in World Cup Qualifying. If he continues to develop like he has been over the last couple of seasons, it’s only a matter of time before we see more of him on the international stage. Borussia Dortmund’s sporting director Michael Zorc said, “Ousmane can play nearly every attacking position. He’s strong in one-on-one situations, he plays with both feet, is skillful, fast and is dangerous in front of the goal.” The 19-year-old has done everything in his power to prove Zorc right, and his goal against United demonstrated how dangerous he can be anywhere on the pitch. Dembélé has a high soccer IQ that allows him to anticipate where his teammates are going to play the ball, and where he needs to be positioned to make the most out of an attack.